I feel bad for Bess. She is not the brightest bulb in the Nancy Drew character chandelier. I love Ned’s casual sexism. 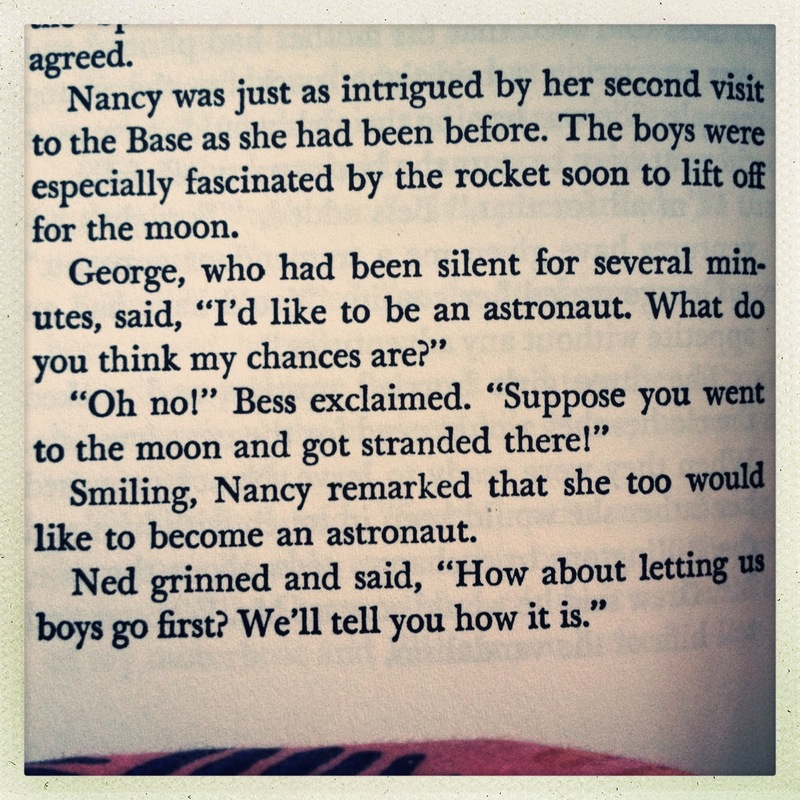 Let’s face it dude, you may have the college education, but Nancy is way more likely to make it to outer space. Probably as a thank you for finding Richard Branson’s diamond encrusted lobster or something. 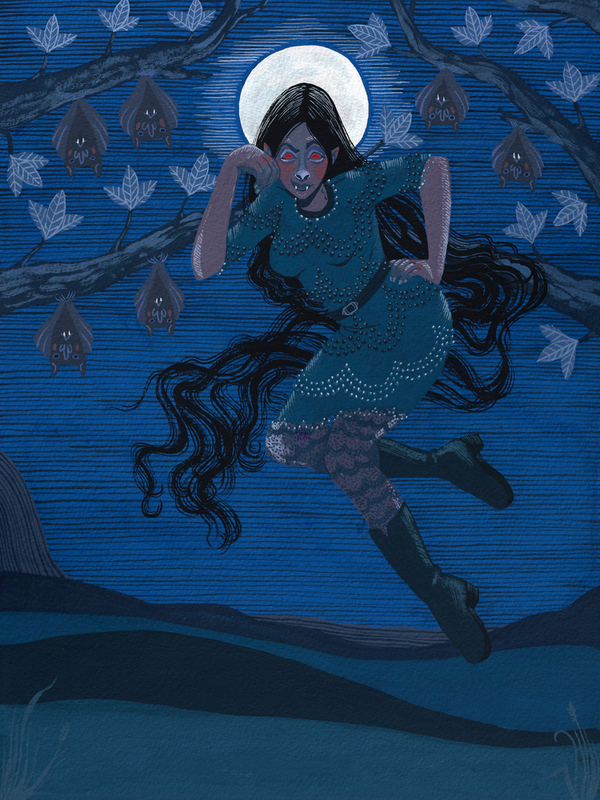 My finished Marceline, Vampire Queen. That hair is definitely my favorite part. I imagine her hair would sort of float behind her, as if she were under water. 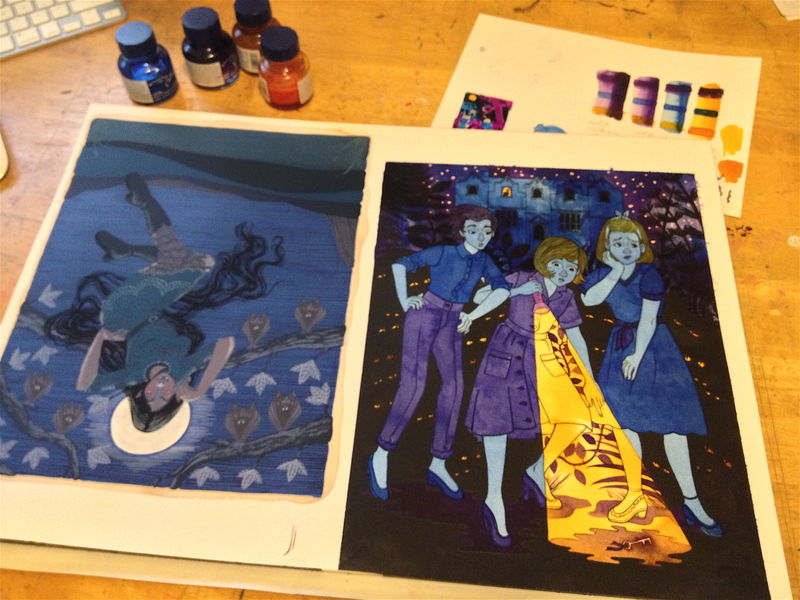 I wasn’t able to scan her until today, because I’ve started doubling up paintings on my giant watercolor paper block. Okay, maybe it’s not so big to some of you (14″x20″), but I tend to never paint any bigger than 9″x12″, so there. I’ll post my Nancy Drew painting in a few days; but I’d like to let you all know now about the show it’ll be part of- Gallery 1988’s ‘Young Adult‘ show, presented with the super cute HelloGiggles. I’m excited to see the show when it opens. I think it’s pretty interesting that with all the books provided to choose from, so many artists went with Nancy Drew. Just goes to show how beloved and iconic she is, I guess.